You can always delete your chat conversations and forget completely about them, but what if you want to print them and keep them for the years to come? Apparently, there’s a solution for that and it’s called Memeoirs. Memeoirs is a service dedicated to preserving our Facebook messages, emails and WhatsApp chats from here to eternity. According to their website, the process to have your conversations printed is relatively easy. You grant access to your selected emails via their super secure servers and they retrieve the messages you want to include in your book. 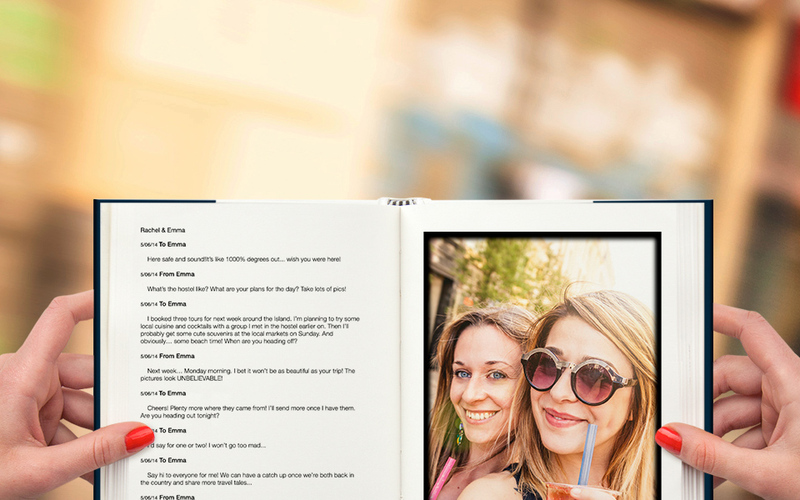 With #Memoirs you can turn your Facebook, Email and #WhatsApp chats into books. The latest addition is the ability to make a book out of your WhatsApp conversations, simply by saving the chats you want on your phone and then emailing the file to Memeoirs. What’s great about printing your WhatsApp conversations, is that you get to add the images exchanged throughout the course of the chat. Memeoirs will make sure that formatting corresponds to your aesthetic criteria and you can either order a paperback or hard cover version. This sounds like a cool idea and an awesome Christmas gift!